Chandra recently hosted a giveaway for this book on her beautiful blog and guess who was the lucky winner! Isn't it gorgeous? 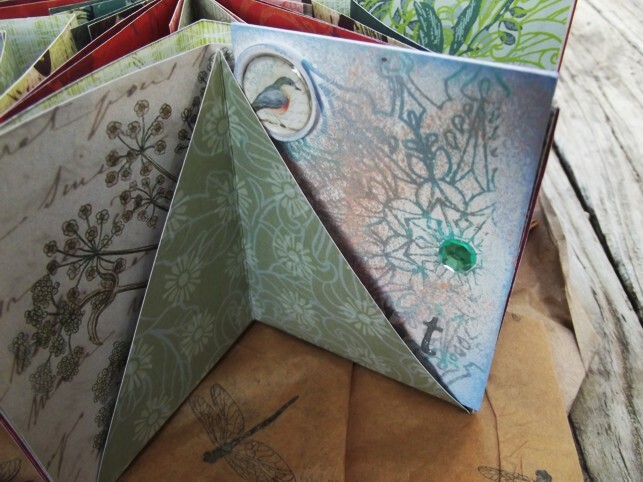 It looks lovely nestled in one of the pockets of the book. In this day of digital images and reproductions original artwork is priceless. 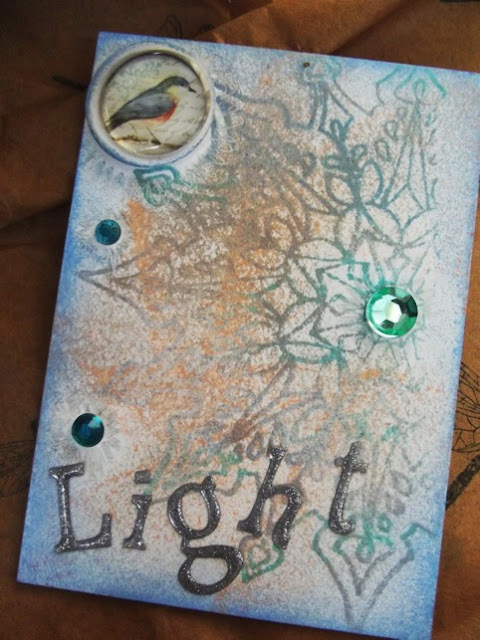 ATC's are the size of a standard trading card...2.5 X 3.5 inches, and swapping them is a great way to connect with other artists and build a little collection of inspiring pieces. 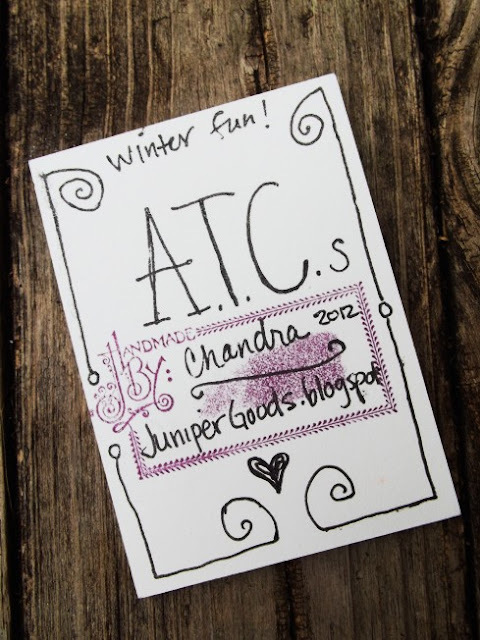 There is a good description of ATC's here if you'd like to learn more about them. Even the back of the card has a personal touch! Thank you so much, Chandra! I can't wait to fill this little book with beautiful creations from friends around the world! Lovely! Way to go, Chandra + Janice! Your welcome! I am so glad you like it! Happy ATC-ing! Thanks, Chandra! 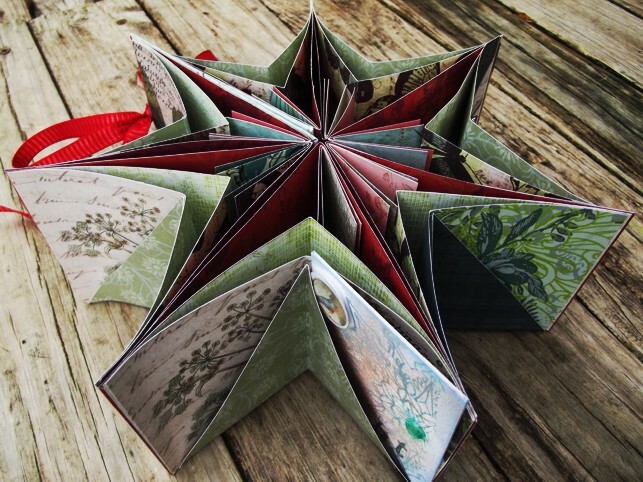 Can't wait to fill my beautiful book with beautiful ATC's! Wonderful! Congrats on the win! That's a lovely, awesome card from Chandra. I'm so looking forward to receiving my first ATC in the mail this month. YAY for ATCs! I'm pretty excited about the ATC group as well. I'll jump in in January! What a wonderful win, congratulations! I think the ATC card is beautiful too! I rarely win anything, so I am super excited!